William Blake’s watercolors were discovered in a second-hand bookstore 18 years ago. 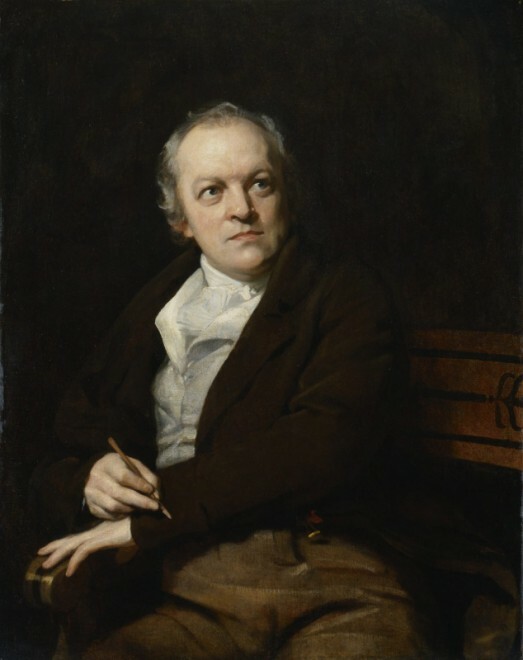 William Blake (1757-1827) is regarded as one of the iconic figures of British literature and painting. Since childhood, the artist was having “visions,” which would later become the basis of his artworks. Since then, both Sotheby’s and Christie’s auctions were involved in the sales of Blake’s paintings. At Sotheby’s, the pictures were sold for a total of more than $6 million. This fall, refined art pieces will be shown at the exhibition organized by Tate Britain. These exquisite artworks were created in 1805. 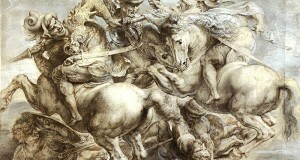 They represent the illustrations of Robert Blair’s poem “The Grave.” “Death Of The Strong Wicked Man” is considered the best piece of the collection – the Louvre will lend it. 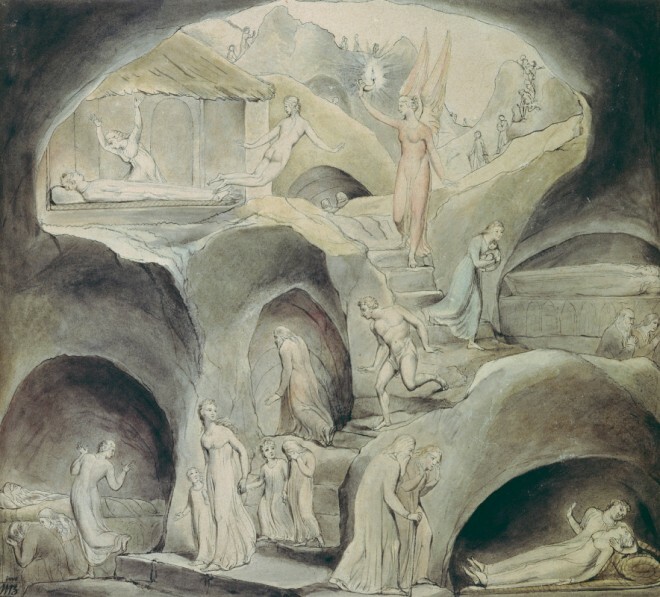 In total, Tate Britain will feature eight of the nineteen William Blake’s watercolors. The paintings were considered lost for 165 years until their discovery in Glasgow in 2001. 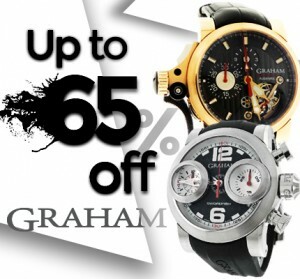 Back then, two dealers bought them for about 1,000 pounds. Two years later, the Tate gallery tried to purchase the entire collection for 4.2 million pounds, but the owners refused to sell the pictures. Instead, they sold William Blake’s watercolors to a London-based art dealer Libby Howie for about £5 million. Subsequently, Tate Britain attempted to purchase masterpieces for 8.8 million pounds but was unable to raise funds. 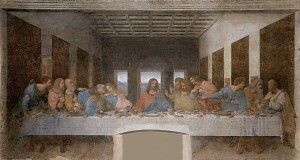 In 2006, the whole set of paintings was sent to the Sotheby’s New York auction, where it was sold by parts. The auction house estimated the artworks at $12-17.5 million, but eleven of the nineteen William Blake’s watercolors brought only 6.2 million. 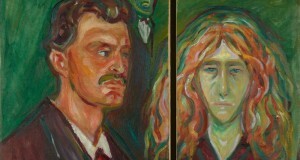 The illustrations for “The Grave” will become the center of the exposition at the Tate gallery. Another zest of the exhibition will be Blake’s portrait miniature. Since its sale at the Christie’s auction in 1974, it has been exhibited only once – in 1987, at the Huntington Art Gallery in California. Almost every avid art collector and philanthropist holds certain William Blake’s paintings. Thus, Robert Essick, American scholar and collector of William Blake’s works, will lend one picture to the gallery. Major exhibitions of William Blake’s works of art have repeatedly been held in London, Philadelphia, Paris, Antwerp, Zurich, Hamburg, New Haven, Toronto, Tokyo, Barcelona, Madrid, and New York. The influence of Blake’s literary works can be seen in the masterpieces of such authors as William Butler Yeats, Bernard Shaw, David Lawrence, and others. His works have inspired many composers who create both classical and popular music. 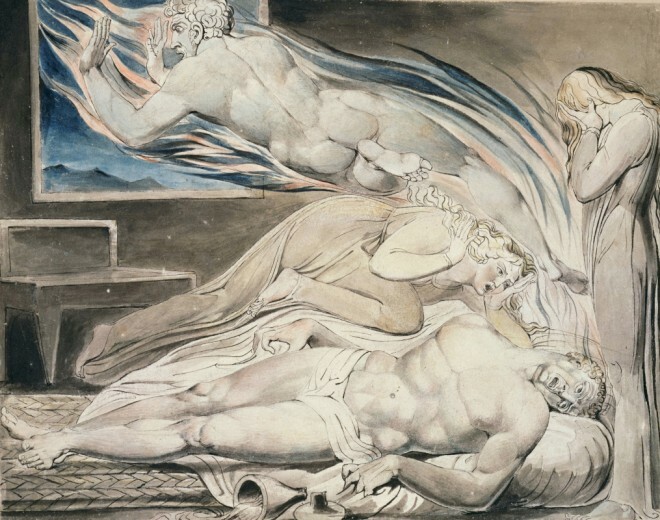 The exhibition of William Blake’s watercolors at Tate Britain will be held from September 11, 2019, to February 2, 2020. Previous: How to Ship an Art Print?